Gold Town Burlesque is a gold mine for talent. I want to follow up last week’s piece on Sarah Jaylin Mays by featuring Gold Town Burlesque. Sarah is the director and choreographer of this troupe of diverse and talented dancers. 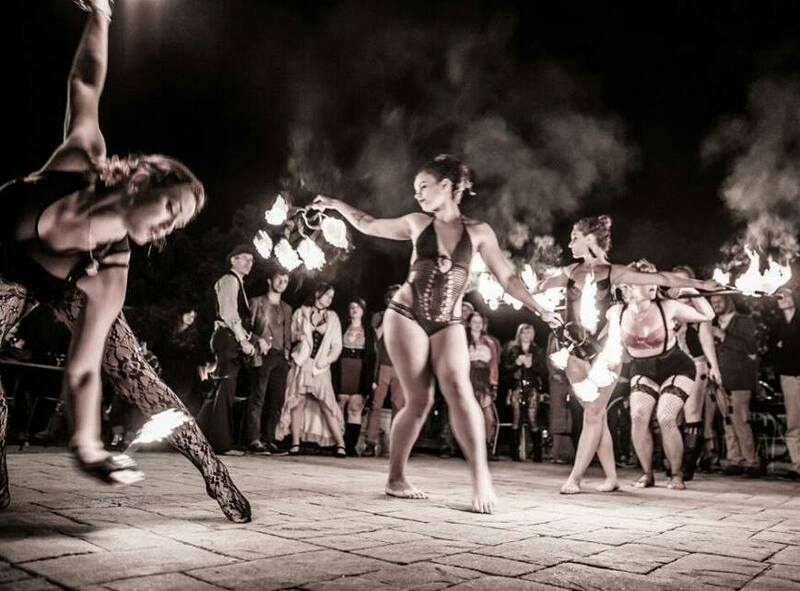 The troupe boasts a repertoire of dance techniques ranging from traditional burlesque to belly dance, gogo dance, aerial silk acrobatics, and fire dance. The Gold Town Gems give a fiery show. The Gold Town Gems all perform under a gemstone persona, following the troupe theme. Each of the dancers have fantastical stories that tell about their character’s origin. The Gems recently hosted an event at the historic Bay View Hotel in aptos. They booked a full evening of dance performances, Djs, and a live Funk Band to round out the night. Keep your eyes peeled to catch a local performance from the troupe, next they are headed to Northern Nights music festival where they will host a variety show stage for 2 nights of the event. Fantastic! I love the heart and energy these ladies put into each of their performances and commitment to their characters as well. I am sure they put on a great show!